In Arizona, the same state where one of Uber’s self-driving cars struck and killed a pedestrian, people have reportedly been vandalizing autonomous vehicles operated by Waymo, the Google spin-off owned by Alphabet. The New York Times reported Monday that more than 20 incidents of vandalism on the vehicles have occurred since 2017, when Waymo arrived in Chandler, Arizona. The attacks on Waymo vans, first reported on by the Arizona Republic last month, have involved everything from slashed tires to a pointed gun and reckless driving aimed at running the vans off the road. Citing police reports, the Times reported that some individuals have also thrown rocks at the vans. Last month, the Arizona Republic reported on a video released by the Chandler Police Department of an incident that occurred in August. In the video, a man identified by police as Roy Leonard Haselton, 69, can be seen pointing a revolver at one of Waymo’s vehicles. Detective Cameron Jacobs wrote in a police report that the man “stated that he despises and hates those cars (Waymo) and said how Uber had killed someone,” according to the Arizona Republic in its lengthy investigation into the ongoing attacks. The deadly crash in which one of Uber’s autonomous vehicles was involved occurred in Tempe in March of last year. While the car did have a backup driver present, that individual may have been distracted by video on their phone at the time the vehicle struck and killed a cyclist. While the crash was arguably the most high-profile incident involving self-driving vehicles, Waymo has also been involved in its own traffic accidents. 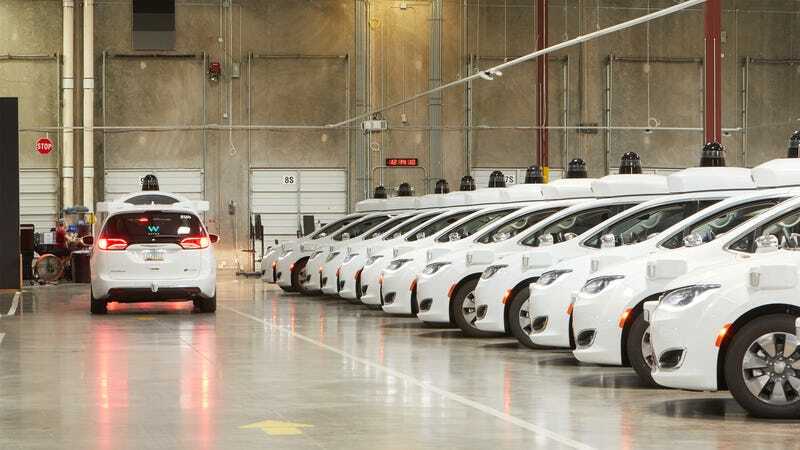 In response to reports of ongoing incidents involving its autonomous vehicles, Waymo pointed to two things: its more than 25,000 miles logged per day, and what it characterized as “extremely rare” incidents escalated to police reports. It also noted its support from the Arizona Chamber of Commerce and Industry. But the fact remains that these incidents are occurring, perhaps indicating that not all Arizonans feel as “welcoming and excited” as the company believes.